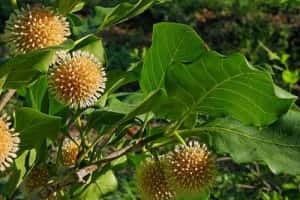 A favorite snack of giant wild caterpillars, the Mitragyna Parvifolia tree has also been offered recently as a subsititute for Mitragyna Speciosa, the source of kratom. But will it offer the same benefits to humans that it does to those long larval insects? All joking aside, let’s take a look at the structure, possible health benefits, and user effects of this lesser known tree. It’s important to research Mitragyna Parvifolia before you buy. Whether it becomes a viable and affordable alternative to the all-natural kratom tree is still up for debate. The Mitragyna Parvifolia Tree, also known by the casual name “kadamb,” is indigenous to northern India. It can grow up to 75 feet tall, and its bark, leaves, and fruits have been used as a folk medicine casually for many centuries. The deciduous leaves are loaded with naturally-occurring alkaloids like dihydrocorynantheine, isorhynchophylline, hirsutine, and rhynchophylline, but none which will sound familiar to fans of kratom’s potent compounds. Is there a difference in effect among different alkaloids? Yes. There are countless thousands of different alkaloids in nature, and no two produce the same effect. 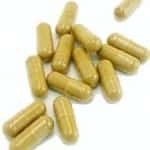 So, just because Mitragyna Parvifolia contains alkaloids which cause changes in the body, they will not necessarily be the same as those effects caused by kratom. This has not stopped retailers from cashing in on the supposed similarity of the plants though. In fact, M. Parvifolia has sometimes been re-named as “Mellow Gold” and marketed as a kratom product. Unfortunately, this kind of practice only confuses the matter for users. The bottom line is, can one expect comparable effects from the two plants? The answer is no. Let’s find out why from the ultimate authority – the users. Kratom is widely known for both is energizing and relaxing effects. However, in a side by side comparison, Mitragyna Parvifolia was not able to compete in either department with the benefits of Mitragyna Speciosa. The plant was noted to provide users with bursts of energy. However, the quality of the energy was not balanced, and some described accompanying dizziness and disorientation, tingling skin, and lack of motor coordination. No mentally calming or stress-soothing qualities have been observed. 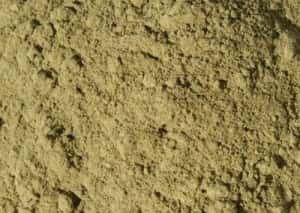 This is disheartening, as these qualities are some of the most popular benefits that rival kratom users enjoy. In fact, Mitragyna Parvifolia has been said to produce almost no relaxing or sedating effects in the body or mind. It has been compared to a Yohimbe-like stimulant, creating jagged bursts of energy lasting around 90 minutes before fading. 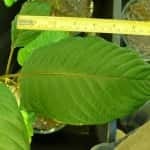 For these reasons, this species of the Mitragyna plant does not seem to provide an adequate user experience to make it a viable alternative to kratom. Does Parvifolia provide substantial health benefits behind the scenes? Yes. Traditionally, the plant has been used as a cure for any disease involving the blood. It has also been used as a folk medicine to soothe fevers and stomach upset. Modern users have noted its benefit as both anti-inflammatory and anti-nociceptive (meaning pain relieving analgesic). Leaves are used to dress wounds, and are undergoing clinical trials in India as a treatment for Type II diabetes. So, the plant is not without its merits as a folk medicinal. Fosters powerful mental focus and concentration. Source of natural feeling all-day energy. Mitragyna Parvifolia is not an imposter – this plant does clearly have some health benefits, and has been used safely for quite some time by traditional cultures. The same is true for another related herb known as Mitragyna Javanica. 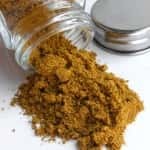 But both has failed to catch on with the modern public as an herbal remedy because its overall effects are not as strong and varied, and the experience of consuming it is not as pleasant or beneficial. 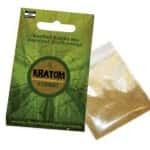 In every case, users prefer the time tested benefits for mind, mood, and body that kratom clearly provides.